Wolf and Sub-Zero – coming soon to Rangemoors. As part of our commitment to providing our customers with the very best in kitchen appliances, we’re proud to present – Wolf and Sub-Zero. 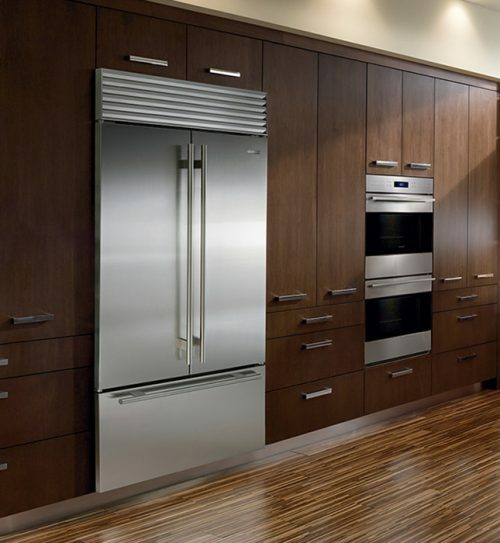 A recent and eagerly anticipated edition to our Showroom, these exceptional cookers and refrigerators feature the latest technology in breathtaking style. 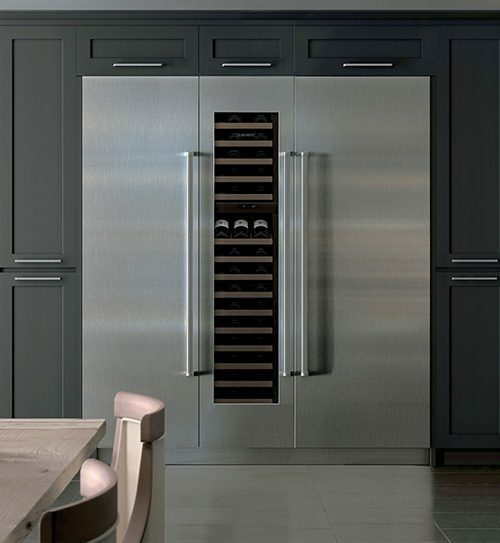 Wolf and Sub-Zero’s beautifully designed cookers and refrigeration have been the preferred choice for many years for chefs like James Martin, Gordon Ramsay, Michel Roux Junior, Gary Rhodes and Tom Parker Bowles. Constantly evolving in both design and function, Wolf and Sub-Zero manufacture appliances that will take your cooking to a whole new level and keep your precious food and drink stored perfectly. 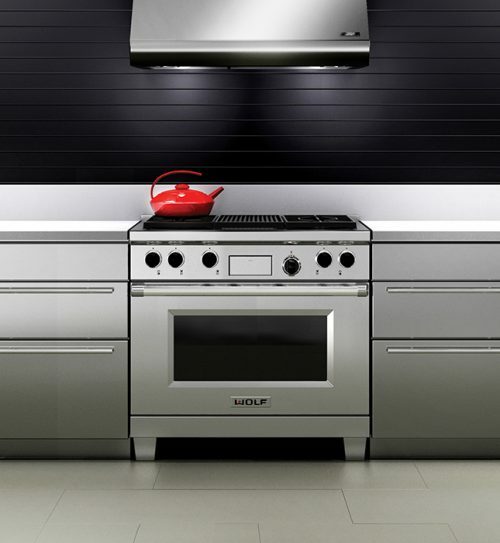 Wolf and Sub Zero have established themselves as the appliance brands of choice for leading chefs due to the robust, industrial feel of the high-quality stainless steel appliances that offers delicious results every time. Sub-Zero & Wolf’s brand ambassadors all share the same passion for perfect food and appliances that offer precision and performance to rival a professional kitchen and include Aldo Zilli, Shaun Rankin, Richard Corrigan, Mark Hix, Galton Blackiston, Stevie Parle, Thomasina Miers and Simon Rimmer; as well as celebrity chef clients James Martin, Gordon Ramsay, Michel Roux Junior, Gary Rhodes and Tom Parker Bowles. Wolf offers a comprehensive range of built-in ovens, hobs, cooktops gas and dual fuel ranges offering the user precise control to deliver truly professional results in the home. The Wolf collection also includes sleek ventilation units and integrated warming drawers. 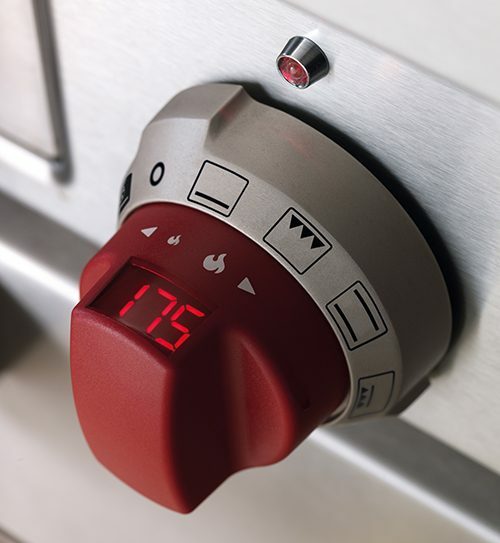 Wolf’s Dual Convection electric oven system, a function exclusive to the brand, provides superior coverage eliminating uneven and inconsistent heating and reducing cooking time. The patented dual stacked burners on the gas cooktops also offer unrivalled temperature control and precision, ideal for melting butter or chocolate on a low heat or high temperature cooking. 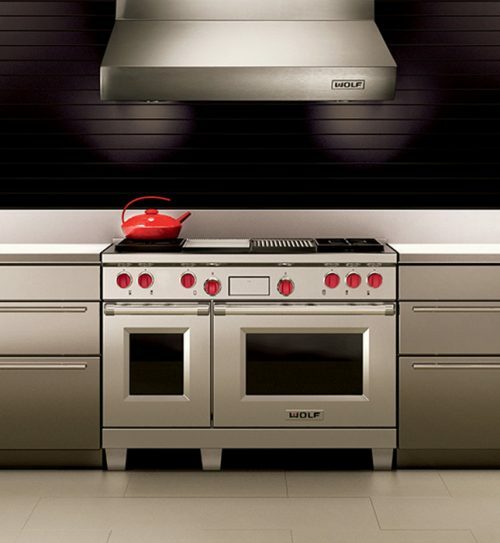 With superior performance and leading-edge design, Wolf appliances fuel a passion for cooking. We also have a range of Wolf and Sub-Zero appliances at our Hearth & Cook Showroom in Exeter – take a look at what’s in store here. 1219mm Dual Fuel Range with Charboiler and Griddle. 42" Over-and-under refrigerator/freezer with French door. One of the widest over-and-under appliances on the market, offering huge storage space with easy access to more of the fresh food you reach for most regularly. With a two-column shelving system, you’ll have more flexibility for storing taller bottles and containers too. Dual refrigeration provides the ideal humid yet chilly conditions for fresh foods, along with dry, frigid air for frozen and convenience foods. An advanced air purification system scrubs the air of ethylene gas, bacteria, mold and viruses. Easy-to-use controls, magnetic door seals and a microprocessor add to the powerful preservation package. And it has new brighter LED lighting for better interior views, and a discreet interior water dispenser with filtration system.